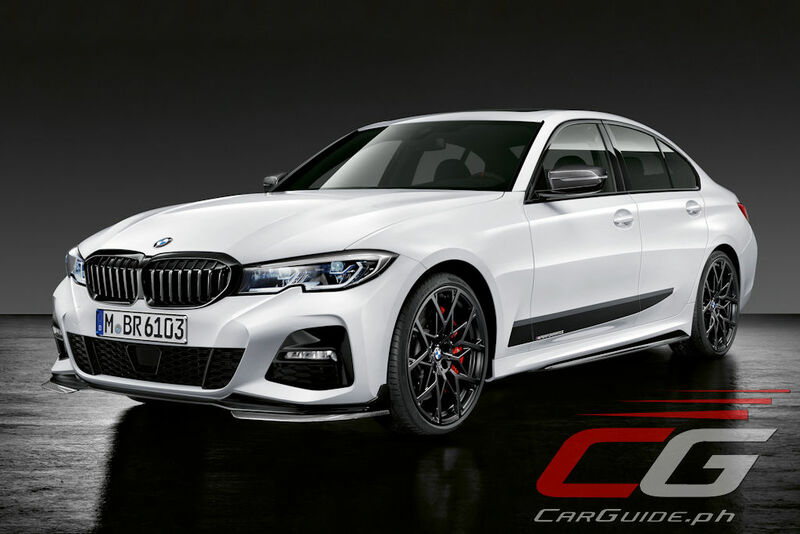 The inevitable BMW M3 (rumored to be codenamed G80) is still some months away, but that didn’t stop BMW from offering people a glimpse of what it could look like thanks to the all-new 3 Series outfitted with M Performance Parts. 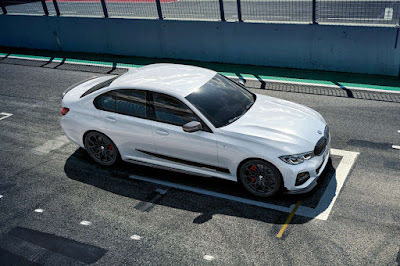 Coinciding with the global debut of the all-new 3 Series, BMW also showcased an extensive array of M Performance Parts available as original BMW accessories for the sporty compact sedan. Designed to offer customers with an enhanced sporty look for their 3 Series, these M Performance Parts also offer functional advantages such as better aerodynamics or lower weight. 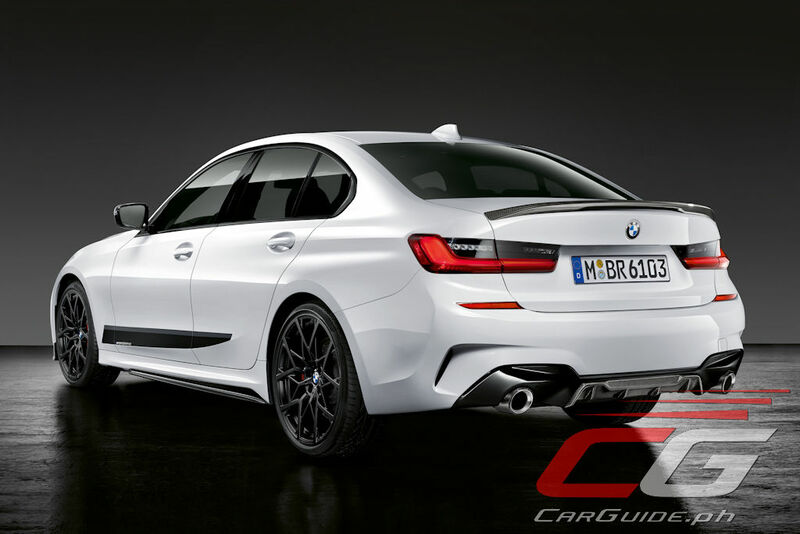 Outside, BMW is offering no less than 10 M Performance Parts for the all-new 3 Series. 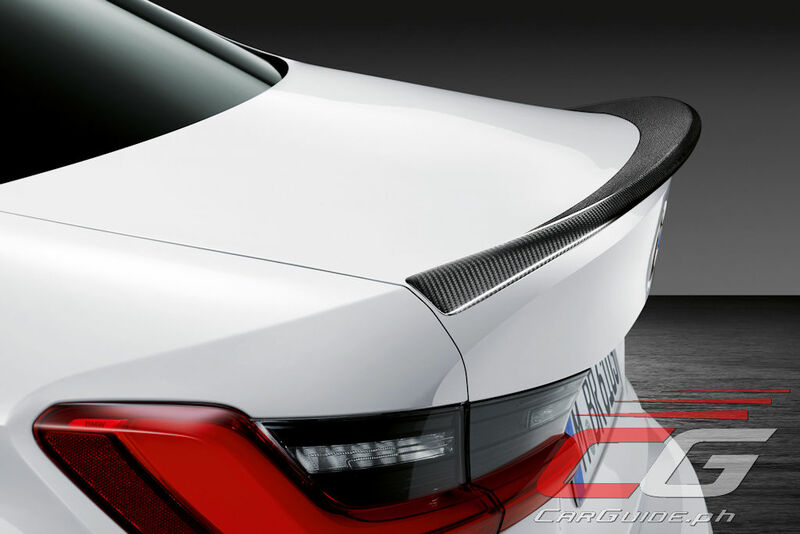 The list includes two kinds of front splitter, rear spoiler, and rear diffuser. 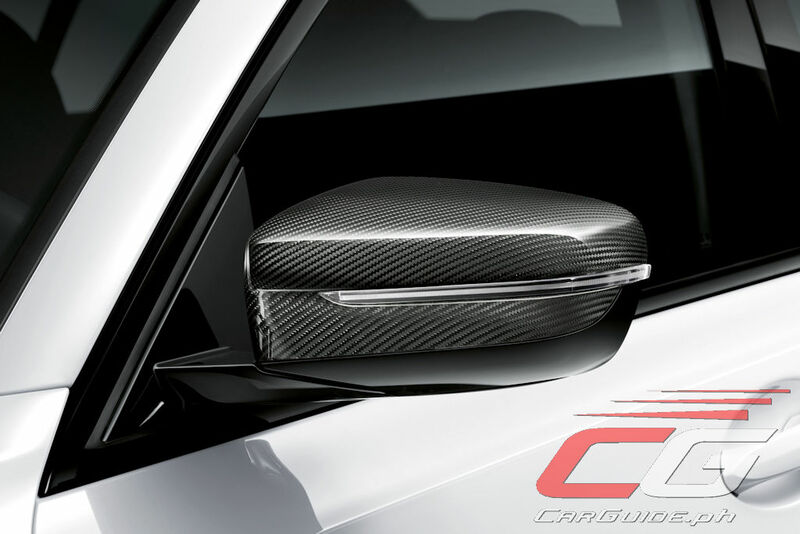 Offered in a choice between carbon, high-gloss black, or black matte, they all designed to optimize airflow around the car leading to improved highspeed road holding. 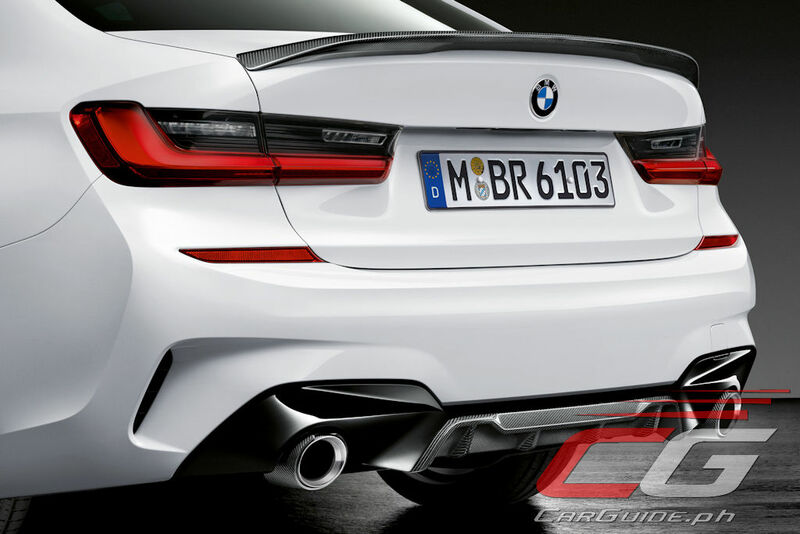 Then, there’s the M Performance tailpipes which are made of lightweight titanium and carbon fiber. 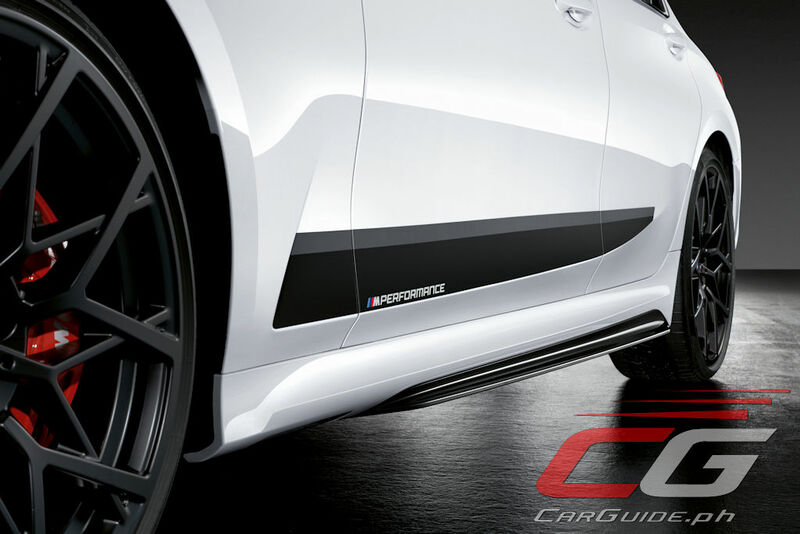 Of course, there are more aesthetic items available too such as the M Performance exterior caps (made of carbon-reinforced plastic) and M Performance side sill films. 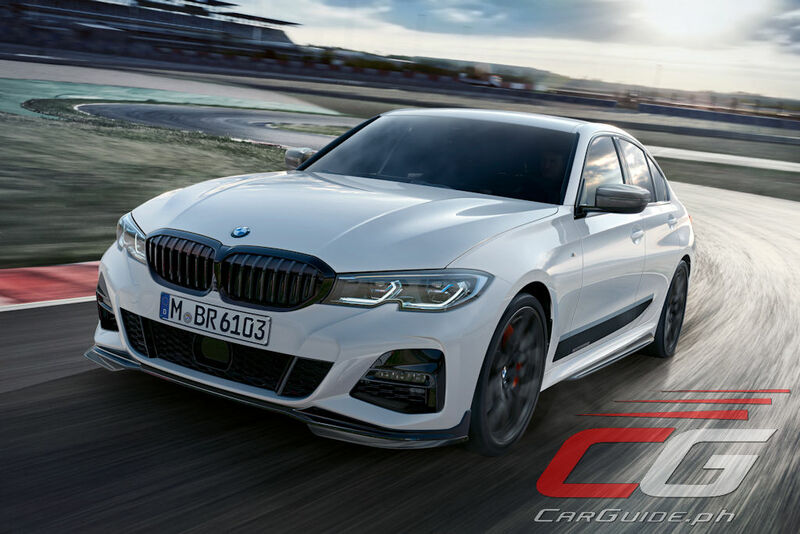 Towards more performance-oriented parts, BMW is also offering 18-inch perforated and grooved disc brakes. 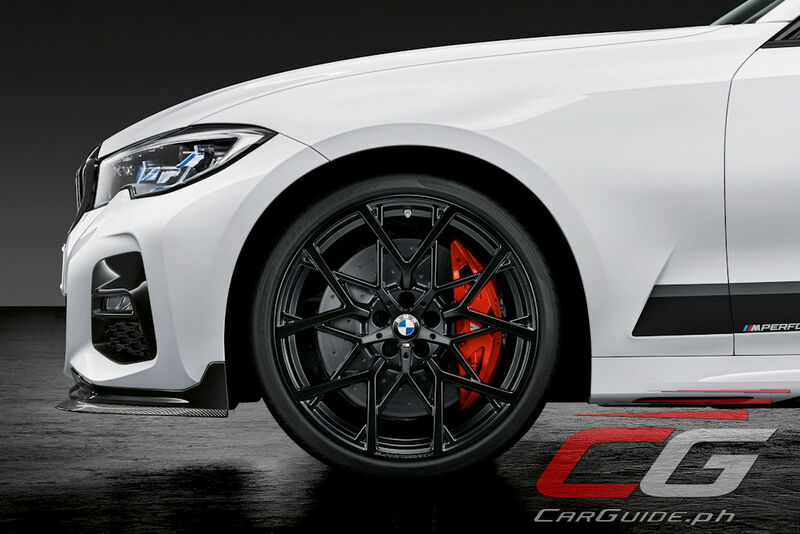 Highlighted by its bright red caliper, it has a four-piston design and are made of aluminum to keep the weight down. Then, there’s the light alloy wheels. The 20-inch ones feature a forged construction and is available in one of three finishes. 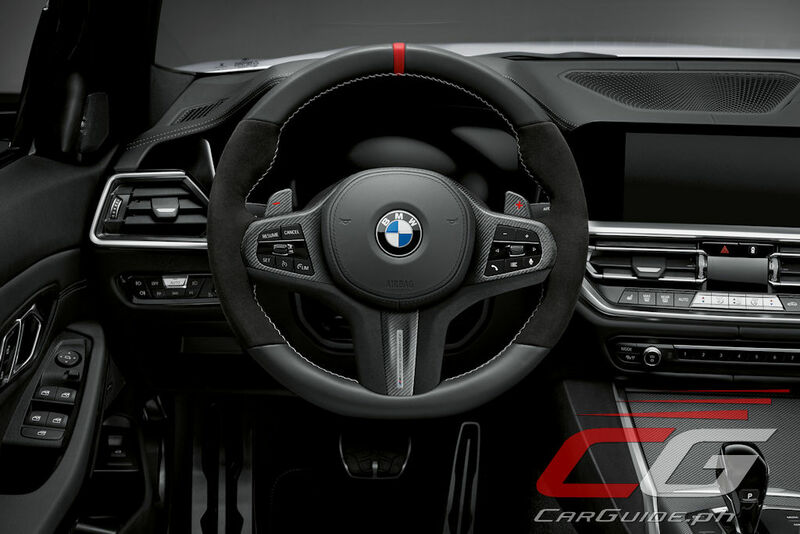 Inside, BMW is also offering an M Performance steering wheel, carbon fiber shift paddles, and even open-pore carbon fiber trim for the interior. 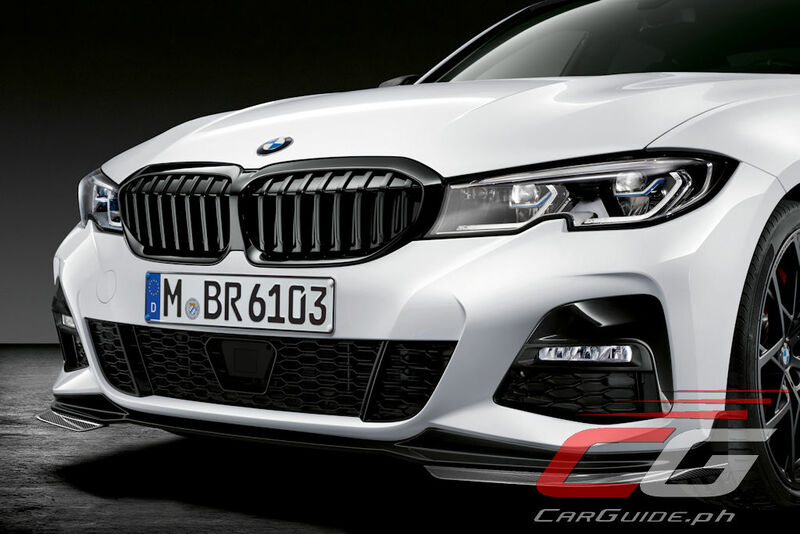 Even the floor mats don’t escape BMW’s attention and there’s an available M Performance version with the tri-colored M flag. 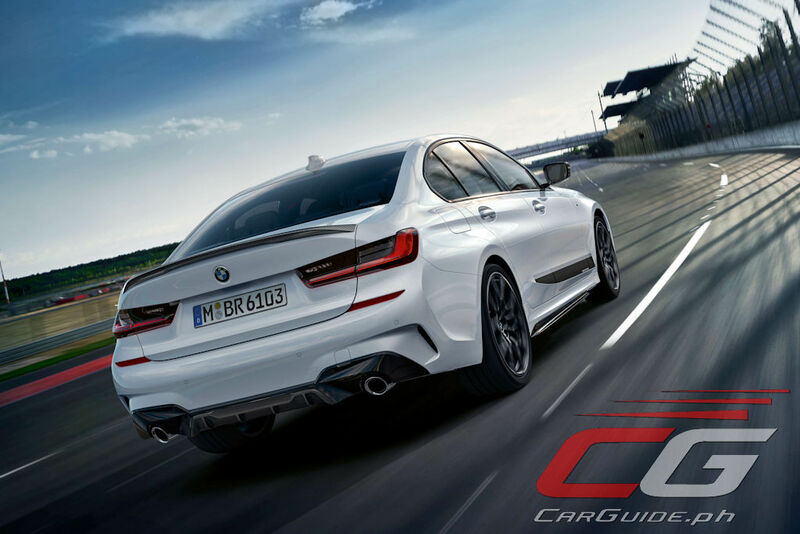 Finally, there’s something also available for those who regularly track their 3 Series: a drive analyzer and camera holder. 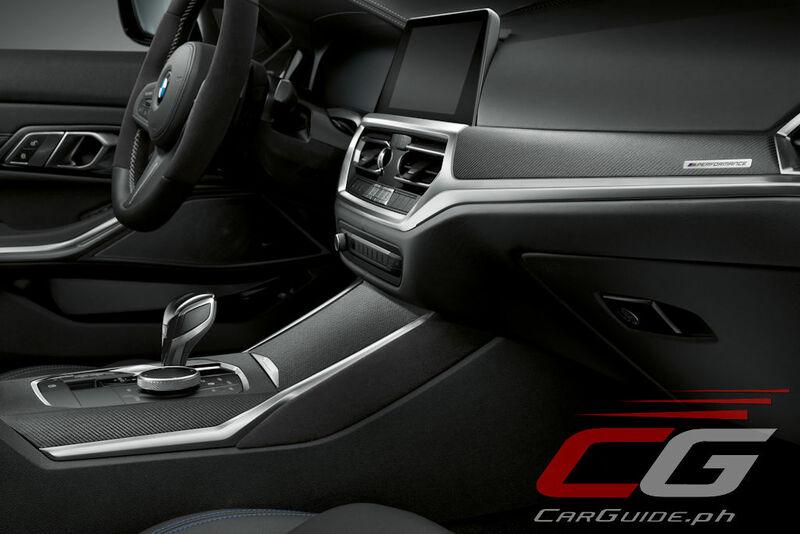 Consisting of an OBD stick that plugs straight into the vehicle’s diagnostics system, the drive analyzer supplies all sorts of data. It also doubles as a drive data recorder as well.